"Last month, the U.S. Department of Education named KIPP Comienza Community Prep a 2017 National Blue Ribbon School, a distinction that recognizes schools that have shown success in closing the achievement gap for low-income and minority students." Parent empowerment is critical to the success of education reform. Check out this new article on the topic in The 74 Million by New Profit’s Alex Cortez and Yordanos Eyoel, who lead our Reimagine School Systems Fund. Working together tenaciously and flexibly toward those shared goals. "As education reformers, we have to invest our time and effort to earn that trust if we want transformational change for communities. That means asking and listening to understand the needs and priorities of the communities we serve. It requires us proving our value and credibility to them before engaging in a dialogue about our agenda. And where we forge an agreement around a common agenda, we then have to possess the fortitude to stick with parents through the difficult long-term struggle for systems change, which will have its wins and setbacks." 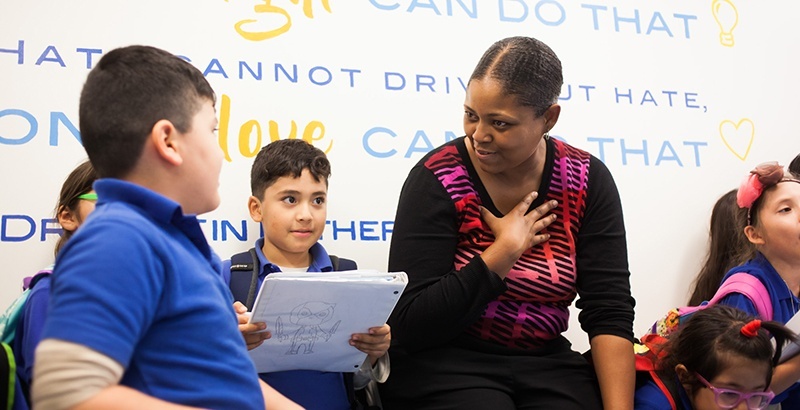 The article focuses on KIPP schools in Los Angeles and how joint efforts have made it possible to close the achievement gap for low-income and minority students there. You can read it here. You can check out an earlier article written by Alex Cortez and Yordanos Eyoel in The 74 Million, entitled: "Notes From the Field: If You Want Great Schools, First Work With Parents to Create ‘Actionable Demand’" here.